A new year is usually full of promises, of new hopes, of new journeys to make. For some, a new year is an ideal time to find a new hobby, to learn new stuff, or even to start a new career, for after making New Year’s resolutions, many are still fresh with enthusiasm and are ready to make changes to improve their life. If you’re in a lackluster job that just isn’t doing it for you, or you’re still looking for a job, seize this opportunity to focus more clearly on where you’d like to head career-wise this year and extricate yourself from the old ways. New Year may be a month away, but you have to think about the new things you want to start doing next year. In this article, you’ll learn a few ways in which you can resolve to get a better job this coming year. 1. Have faith in your abilities and the available jobs. Remember that you’re a valuable asset to any company. This is how you need to think, but don’t overdo it. 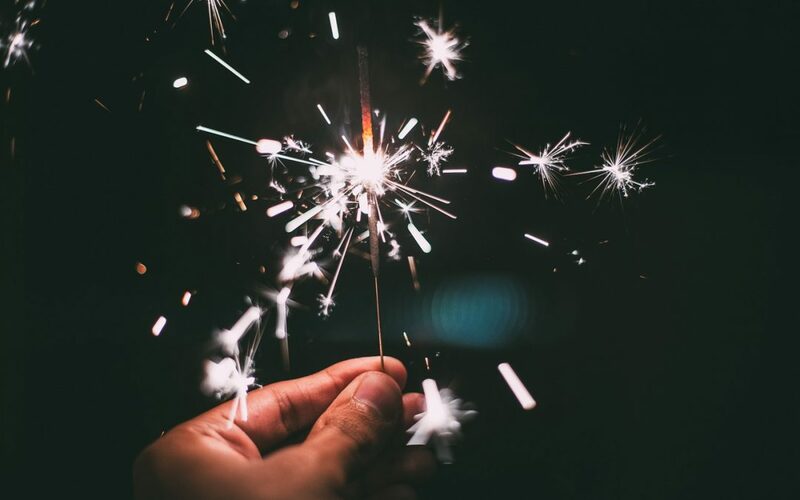 If you’ve been hunting around for a time, use the vibe of New Year to reinvigorate your search and to get back into the swing of searching further afield with eagerness. It is important to keep in mind that your attitude and posture will impact the way that a potential employer feels about you, so if you’re not feeling positive, this will come across in the interview. Do things that maintain your confidence. Volunteer part-time in a place that appreciates your skills. The gratitude and the feedback will help to maintain your morale and the volunteering can continue to show your interest in what you’re doing, as well as your continued updated experience. If you’re feeling low after a period of searching and not getting far, this is a good time to regroup and think about ways to bolster your confidence. If you’re concerned that you may be suffering from a very low dip in self-esteem, consider talking to your doctor or therapist about options to overcome this fallen resilience. If you’re just feeling flat, use this time to spruce up your image by getting a new haircut, buying something new to wear to interviews, or changing something about your clothes, fashion style, or makeup that represents the slightly older, slightly wiser you this year. 2. Learn how to be more effective at job-hunting. Think about unsuccessful applications and interviews. Try to pinpoint what you did or didn’t do that probably lost you the opportunity and a make a decision to remedy that part of your job-hunting. Go through your CV. Look at how to improve it and how to represent yourself in a stronger light. What areas are you underselling yourself in? Just as some people exaggerate their values, quite a few more people make the opposite mistake of downplaying their skills and accomplishments. Think about what you have done so far and look for transferable skills and experiences that you can offer a new employer – this will help you to step out of the rut of staying within your same job type and will open up much more job possibilities. Stick to the truth, use concrete examples to back up your transferable skills and move beyond your current or previous job description. Have someone else read through your CV to pick up on mistakes and to check that it is making sense in the most concise way possible. If possible, have someone familiar with the industry you’re aiming at working in read through your CV to see if it would make their radar pick up. It is important not to be defensive about needing help from other people to prepare yourself as best as possible for the job market; find people you can trust and who resonate with you and you’ll receive invaluable guidance. 3. Update your technical and professional skills. This might be a great time of year to enroll in courses that build on or extend your existing knowledge, as a way to improve your job prospects. If you’re already working, look for courses offered within your organization. If not, there are many opportunities offered through community colleges, night classes, and other courses that can boost your existing skills, whether or not you have college degrees. Sometimes it’s the smaller but more specific skills that can set you apart from the other equally qualified people seeking the same job, and if having an up-to-date first aid certificate or computing skill can boost your chances, then give the course some consideration. 4. Start looking for suitable positions. The broader your potential job pool, the better chances you’ll have at finding a new job this new year. Don’t be shy at selecting as many relevant jobs as possible that match your skill set and are realistically doable for you. Think beyond where you live. While this might be a scary thought initially, if you are prepared to relocate from where you currently live, you widen the potential job pool even more, especially if you’re prepared to move to a place that is a hub for the skills you’ve got. Even overseas might prove a promising option if you’re keen and able to move this far. Network more. Networking is important for finding new jobs, and people are more inclined to feel positive about someone they’ve met and connected with positively than only knowing a cover letter and CV. Don’t overdo the job hunting around them, though; simply be positive, interesting and interested in them, and try to keep in touch with them after meeting. Take great care with your cover letter. One-size-fits-all cover letters are the least likely to get you the job; personalize the cover letter to the job in question every single time. Make sure the cover letter is addressed to the person who will be reading it, clearly point out how you meet the requirements outlined in the job description and keep it short (about 3 to 4 paragraphs). 5. Prepare well for interviews. Common interview mistakes include dressing down, not knowing much (or anything!) about the place you’d like to work for, and poor interview mannerisms. If you have problems with interviews, it is possible to get coaching but if that’s not an affordable option, at least read as much as possible about interview techniques, and even better, have a friend or family member role play interview situations with you, using a range of normal to tricky questions. This will help to build your confidence, as well as getting you habituated to being interviewed and answering questions quickly but well. Anticipate the key questions such as telling the interviewer your strengths and weaknesses, what you bring to the job, what interests you about the company and position, your willingness to work extra hours/travel/relocate, the ways in which your previous experience is relevant, and being asked if you have any questions. For some industries and jobs, it is also important to have a realistic but fair idea of what salary you believe is appropriate. Read How to prepare for interview questions thoroughly, How to perform well in interviews, and How to limit your mistakes during a job interview for suggestions on interview preparation. While this is your New Year’s resolution, changing or getting a new job can take time and much of the year may pass before you find a new job. Provided you’re expecting it to take time, you’re less likely to fret and more likely to persist, which is important in ensuring that you don’t lose sight of what you really want from your resolution to get a new job. While you’re still feeling enthusiastic and full of renewed vigor about the New Year, making a plan for the coming year’s job search is useful because it can determine your goals for job-hunting this year and it will serve as a reminder of where you’re headed should you find yourself feeling off course later during the year. Look at all of your skill sets, not just the ones you’ve been paid for in the past. Sometimes a new career can come out of something you’ve done well for years in the right context. Ask yourself if you’re burned out on your current type of job or whether it’s the specifics of your current job that need improving. Whether you like the work itself does matter more than the money, there’s no point to living in misery. Weigh the risks and benefits of self-employment. If you work better without supervision, are good at bringing in clients or customers, have strong organizational skills and are self-motivated about doing the work, self-employment may suit you better. It’s trial and error but you’re hired in the instant you decide – then you’re on the job and all you have to do is a good job at it! Decide what you want most in a new job – whether it’s more money, more job satisfaction, a better social environment at work, less supervision, better supervision. Be clear about your priorities when looking at positions to apply for. If you’re looking for shorter hours, don’t go telling the interviewer about all the late nights and weekends you put in at the old job. The right new job is a match for all of your real needs, not just a title on paper or a salary change. Remember to always follow up interviews with a thank you letter. This provides potential employers with another opportunity to be reminded of you and is demonstrative of your ability to reach out and show that you care about other people and their time. Keep learning. Your job prospects will increase when you can demonstrate that you’re up-to-date and aware of all current developments within your industry and the broader context that relates to what you do.